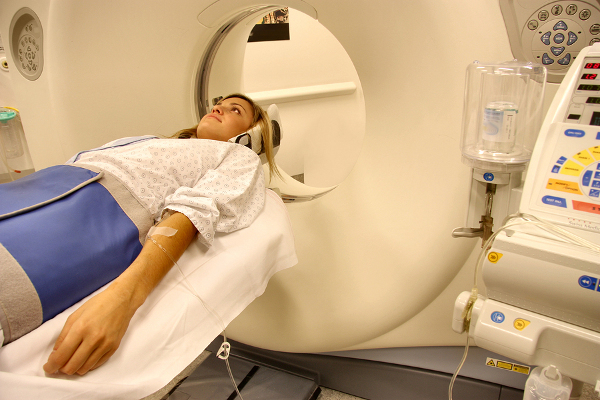 When are accidents and head injuries more likely to happen? Going off piste, with the dangers of trees and other objects, is going to raise your risk, but head injuries can happen at any time, even when you are going slowly, such as on the lower or more gentle slopes. "Head injuries can happen at any time, even when you are going slowly, such as on the lower or more gentle slopes"
Dr Adil Haider, the Associate Professor of Surgery at The John Hopkins School of Medicine, and author of the Eastern Association for the Surgery of Trauma's report, cites actress Natasha Richardson as example of someone who was going slowly when she had what seemed a relatively minor fall, which, later, as we know, ended her life. Dr Haider says, "You don't need a big crash. And poor Ms Richardson may have shooed away the paramedics because she was a celebrity and didn't feel that bad. But later she would have probably started to get a heachache and felt that she needed to lie down, still thinking it wasn't anything too serious. What would have been happening is that her brain was swelling and shutting down. This eventually proceeds to your spinal cord and you die. A helmet and medical attention may have produced a very different outcome." But not only can you receive an injury if you ski into a tree, another object or even person, but you are also at risk of other people crashing into you - something you sometimes have no power over. And other people on the slopes are no small problem. 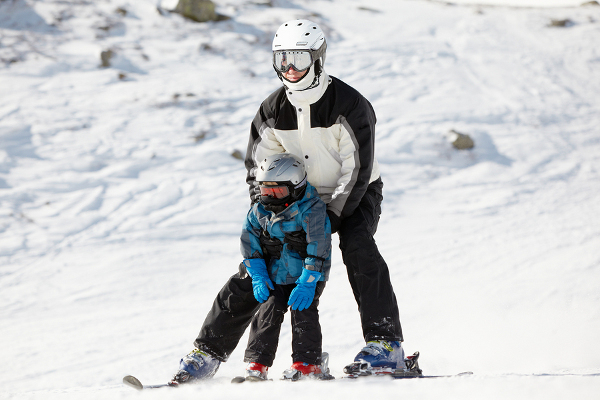 Physiotherapy Lecturer and President of ENPHE, The European network of Physiotherapy in Higher Education, Dr Raija Kuisma, talks about seeing parents skiing down the slopes with their children on their shoulders, as well as people hitting the slopes on the last run or last day when they have had a few drinks. But, Raija warns: "Even people who leave their drinking until they are down from the mountains may still be in danger. If you've been up drinking until the early hours of the morning and go for an early ski run you may still be under the influence and in danger of slow reactions or making fuzzy decisions." Why are head injuries so dangerous? Raija Kuisma comments: "A head injury while skiing can be as serious as an injury sustained during a car crash - people often don't know this.The rehabilitation of people with head injuries can take a long time, requires specialist therapists and facilities and if serious, may leave lifelong disabilities and dependency on others' help. As a physiotherapist I strongly recommend all skiers, boarders, roller skaters/bladers and cyclists to wear helmets, however skilful they are themselves- we cannot predict others' actions. It is cool to look after your brain and new lightweight helmets also look smart." "Many TBI patients deteriorate not as the direct result of their primary injuries, but rather due to the damaging effects of secondary injury...these occur when oxygen can't get to the brain because of swelling or a drop in blood pressure"
"The complicating effects of conditions that can occur as direct or indirect effects of exposure to high altitude. These include hypoxia, hypotension, elevated intracranial pressure (ICP), dehydration and hypothermia/hyperthermia. Each of these variables can play a role in secondary brain injury and/or altitude-related illness, and each has been demonstrated to adversely affect TBI (traumatic brain injury) patient survival and/or functional recovery. As many as 40% of TBI patients deteriorate not as the direct result of their primary injuries, but rather due to the damaging effects of secondary physiologic, mechanistic, and neuroinflammatory processes." "Secondary brain injury occurs when oxygen can't get to the brain because of swelling or a drop in blood pressure." In the worst cases this can kill you, but it can also result in something very similar to a stroke, and patients will need rehabilitation to get them back to normal life, if this indeed possible. What is so worrying about brain injuries is that the symptoms aren't always obvious. In the case of a subdural haematoma, where blood collects between the skull and the surface of the brain, this can happen immediately after the injury (an acute haematoma), within a week of the incident (sub acute) and even over a period of 2-3 weeks (Chronic). All are dangerous. Sometimes these symptoms can be temporary; sometimes they may be with you longer and necessitate you seeing a neurologist, or physiotherapist. What should you do if you hit your head? Even if it's a mild knock, see a paramedic, resort doctor or physio who can assess you as soon as possible. If you or the other person look dazed, or are slurring their speech, get help immediately. Dr Haider warns speed is vital: "If you don't get medical attention, a subdural haematoma is a possibility. The rule is that the faster you get to surgical care, the more chance the surgeons have of being able to give you the best help. If the victim is bleeding internally every second will count towards their survival, especially if it includes being airlifted off the slopes." 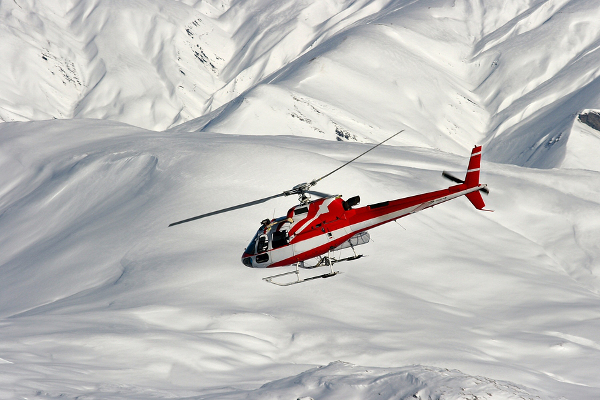 Taking out a good winter sports policy means that if you need to be airlifted off a mountain or even repatriated home, you will be covered. If you rely solely on your EHIC card, this won't be the case. Dr Haider embarked on his research because he believes that prevention is much better than the cure: "I was out skiing with my family and some friends recently and my wife was in front of me. One moment she was chatting to her girlfriend and the next she had hit an exposed pebble and had flipped backwards and lost consciousness for a good few seconds. If she had not been wearing a helmet she would have almost certainly had a brain injury. I've read the reports and seen the case for ski helmets right in front of my nose and there should be no question that these are a good thing." Adil Haider is Associate Professor of Surgery, Anesthesiology and Critical Care Medicine and Co-Director for the Center for Surgery Trials and Outcomes Research, at Johns Hopkins School of Medicine in Baltimore, USA. Dr Haider enjoys skiing with his extended family and bought everyone helmets after reading the medical evidence for them. He realised that people needed a definitive answer to the helmet question and this inspired his research. Raija Kuisma is Principal Lecturer, and Course Leader MSc Rehabilitation Science at the University of Brighton, as well as President on ENPHE - The European network of Physiotherapy in Higher Education. She is a passionate advocate of helmet wearing for sports - from skiing to cycling to rollerblading. She has been a skier for over thirty years. You can contact her via twitter @vkingwalking.